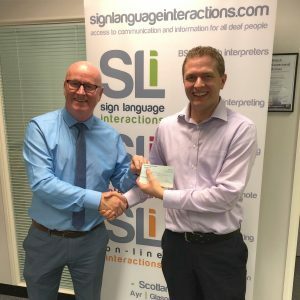 Ian Galloway of Lanarkshire Deaf Club​ is the latest successful applicant to our Go Fund. Thanks for coming to visit our Glasgow office and picking up your cheque. All the best Ian! Our Go Fund is aimed at small local deaf-lead groups based in Scotland to fund local initiatives.